Social media enables businesses to connect with current and potential customers in ways that have never been available before. When those customers become raving fans of your brand, they then have the ability to share it with hundreds of friends and contacts in an easy and fun way. In order to develop a knock-out strategic social media plan, we start with analyzing your competitors. We will look at the local, regional, and national level to see what company’s are doing things right, and those that aren’t having success. Sure, it’s fairly easy to setup a profile on social media platforms. But do you know how to set them up effectively for success? We can create new profiles, or modify existing ones, to conform to the recipe of a professional profile. Every business is different. Even in the same industry, every business has different goals with different people managing them. We don’t believe in a cookie-cutter approach to Social Media. We gain a thorough understanding of each business, how it works, where it is, and where it needs to go. We then create a tailored Social Media Strategy for each and every business we speak to. After fully understanding what you want to achieve by your Social Media Marketing, we’ll create a strategic plan to assist you in getting what you want. You have one main goal – find more customers and make more sales. Social Media Marketing can make finding those new customers easy. Not only that, it’s much easier to interact with them and keep them coming back! Strategic Social Media Marketing can deliver desired return on investment (ROI) for a fraction of the cost of most traditional advertising outlets.  The team at Coffey Marketing and Creative combine a strategic use of many Social Media platforms like Facebook, Twitter, Pinterest and Google+ to connect you with your customer base. If you already have a presence on any of the Social Media platforms, or if you’re just to the point of getting set up, you may not have the time or desire to effectively manage the daily tasks. We have developed a range of tiered solutions to manage your Social Media Marketing for you. We will meet with you so that we fully understand your business, your brand, and your marketing goals. Then we will create a Social Media Management solution that we take care of for you. You may have the desire to manage your own Social Media, but don’t really know where to start. We can provide Social Media Training so you achieve the goals you’ve set for your business. Our Social Media Training sessions can be conducted face-to-face or via webinar. You’ll gain a full understanding of how to harness the power of the Social Media networks that will most effectively work for your brand. We know what works and we’ll show you how to do it, why to do it, and when to do it. One of the most powerful tools offered on Facebook is Facebook Applications. What are Facebook Applications? Simply put, they enable people viewing your page to interact with you, your brand, and your products more easily. They really are an essential element in your Social Media Marketing campaign. With Facebook applications you can show a gallery of your products, build your email marketing database, highlight special promotions, run a competition, and much much more. The possibilities are limited only by your imagination, creativity and business goals. You want to see what we are doing with your Social Media is working. So do we! We will provide monthly reports not only for you to review, but for us to see how we can further improve the Social Marketing Strategy.